Shampoo is a product which is widely used for cleaning hair. 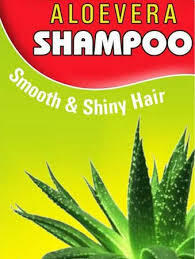 The word Shampoo has been derived from a Hindi word champo which refers to head massage with some kind of hair oil. Shampoo has become an integral part of personal hygiene. Long time back, before the invention of shampoo, people used to take care of their hair by using products like soap and oils. Soaps were not able to gain popularity as a hair care product as most of the people felt that they leave hair looking unhealthy and irritating. English hair stylists used to boil shaved soap with water and also added some herbs in order to make a cleansing solution for hair. However, commercially shampoo started to be sold from the turn of 20th century. Earlier, shampoo used to share many products like naturally derived surfactants. However, Drene is credited for being the first shampoo made by using synthetic surfactants. It was introduced in 1930. This formed the base for modern detergents. Formula of shampoo generally includes, water, detergents, foam boosters, thickners, conditioning agents and preservatives. The exact formula may differ from one company to another. Hair conditioner is another hair care product which is generally used for improving the condition of the hair. It also helps in detangling hair. People prefer using conditioner as hair tends to be softer and less dry after using hair conditioner. During 1900 the first conditioner was invented in the form of Brilliantine which was presented by Parisian perfumer Edouard. It was basically a formula invented for softening men’s hair. However, the first rinse off conditioner was marketed in 1970. Shampooing loses sebum, and therefore some conditioners are also applied after shampooing to make up for this loss. There are many types of conditioners which are available in the market. They focus on general or particular problems. Types of conditioners include moisturizing conditioners, deep conditioners, acidifying conditioners, color protection conditioners, etc. The ingredients of hair conditioner includes moisturizers, acidifiers, detanglers, thermal protectors, glossers, oils (EFAs - essential fatty acids), surfactants, lubricants, sequestrants, anti-static agents and preservatives. Herbal based shampoo and conditioners are also gaining popularity as they do not contain any chemical based products which can be sometimes dangerous for hair. Herbal or natural based hair care products generally use dry herbs like amla and shikakai. Many shampoos also contain ingredients which work as both cleanser and conditioner. Hair conditioner is another hair care product which is generally used for improving the condition of the hair. Shampoo is a product which is widely used for cleaning hair. Some other ingredients may also be added for providing additional characteristics like fragrances, dyes, etc. Instant conditioner – like crème rinse. They coat the shaft. Keratolytic Agents – remoce ointment, pastes, etc. Depends upon the quality of hair, one can also skip conditioner if hair are already moisturized, smooth and shiny.